Top Digital Advertising and Marketing trends for 2019. Seminars at 9:00am and 1:00pm. Space is limited so please RSVP. 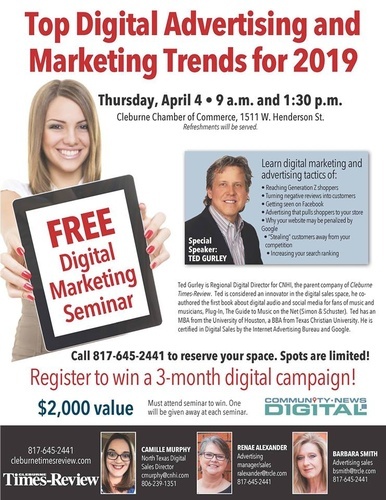 Register to win a 3 month digital campaign $2,000 value. Must be present to win. 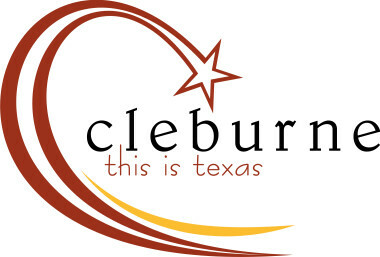 Special speaker Ted Gurley is Regional Digital Director for CNHI, the parent company of Cleburne Times-Review. Ted is considered an innovator in the digital sales space, he co-authored the first book about digital audio and social media for fans of music and musicians, Plug-In, The Guide to Music on the Net (Simon & Schuster). Ted has an MBA from the University of Houston, a BBA from Texas Christian University. He is certified in Digital Sales by the Internet Advertising Bureau and Google. Call 817-645-2441 to reserve your space. Spots are limited!